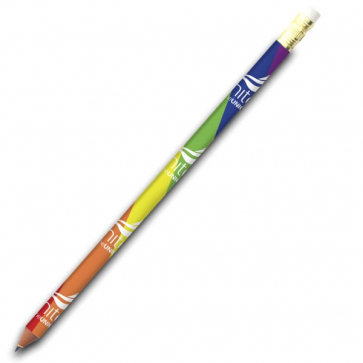 Wood-free pencil made with recycled synthetic resin material, that will not splinter in the event of breaking. Resistant HB grade lead. Rainbow coloured pencil with eraser. White logo printed to the barrel.